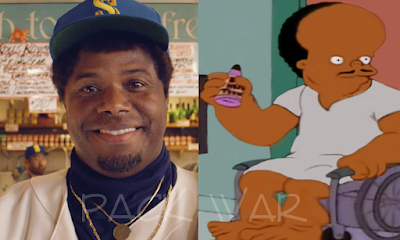 In Macklemore’s new video “Downtown” we see Ken Griffey Jr. catching a fish in front of Pike Place Fish Company as easily as he used to catch fly balls at the Kingdome in his heyday. 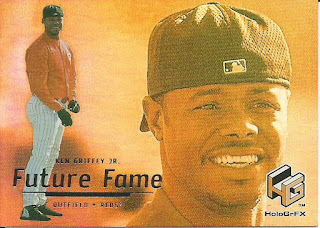 The scene is at 1:44 and then Griffey is seen again riding a moped (yes the song is about mopeds) at the 4:02 mark. Once again we can say the Simpsons did it first. 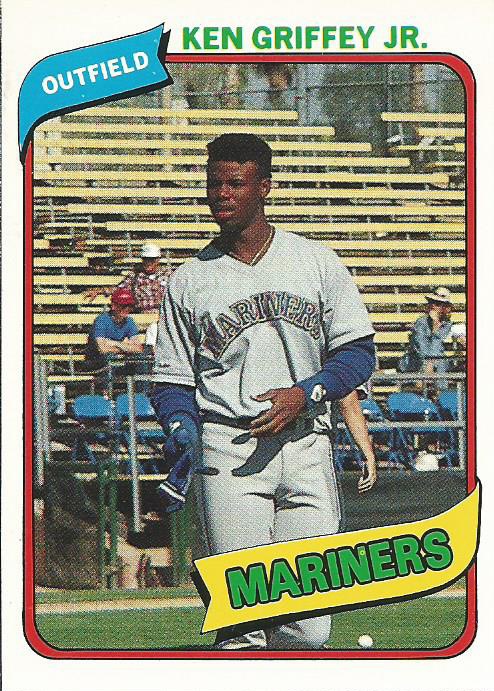 I would also like to point out that the video was filmed in Spokane which is roughly 300 miles East of Seattle so that was one heck of a fish throw. 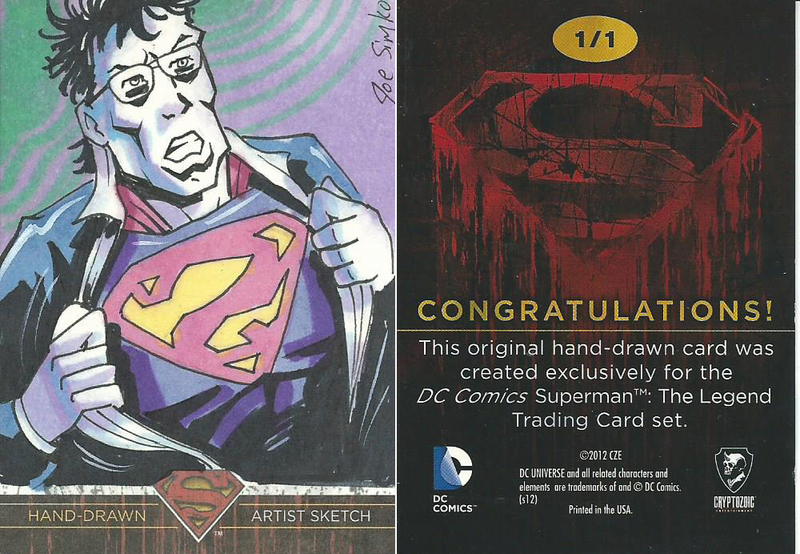 This month’s The Art Gallery display comes from the 2013 Cryptozoic Superman: The Legend release, the artist is the legendary illustrator Joe Simko. 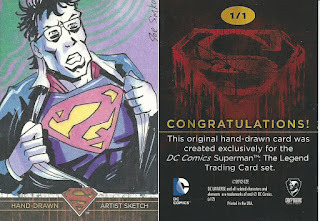 When it comes to bad guys in the Superman world there is a hierarchy beginning with Lex Luther but I don’t subscribe to that philosophy, I have always liked General Zod followed by Bizarro so this card seemed like a perfect addition to my sketch card collection. 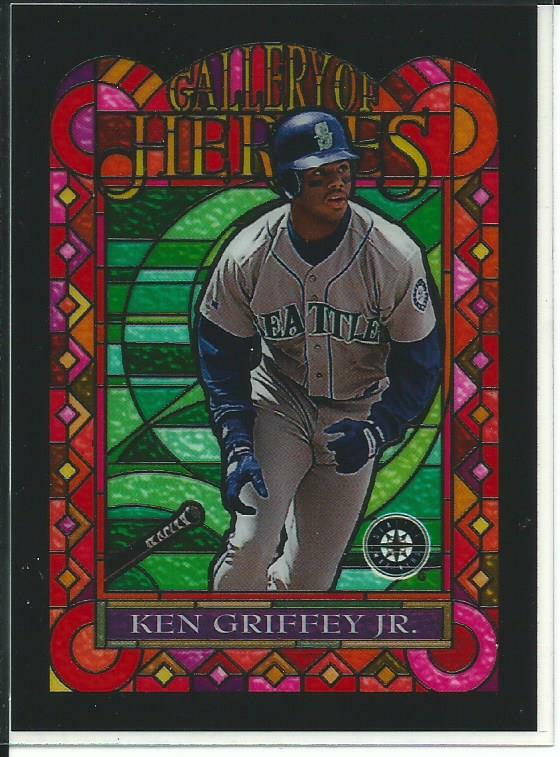 What surprised me is that I was the only bidder on this card and ended up winning it for .99 cents (plus $2.32 shipping). 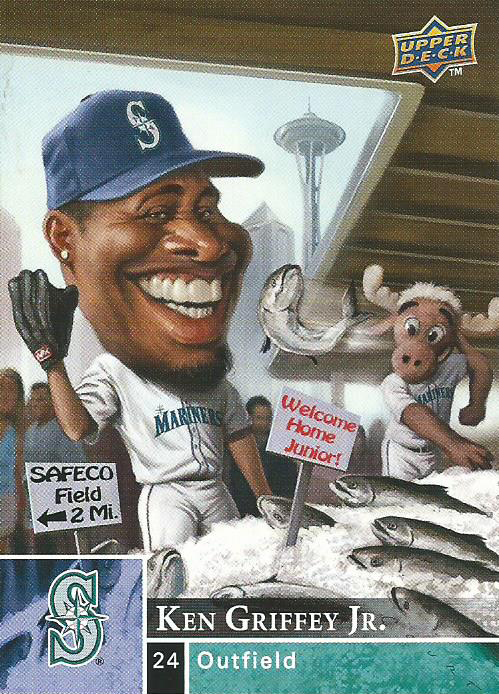 To add the windfall is that the illustrator is Joe Simko, who is probably most well-known for his works with Topps and his contributions to Garbage Pail Kids and Wacky Packages. His portfolio runs much deeper than that and includes sketch work with Topps, Cryptozoic and his own sketch card company Wax Eye. 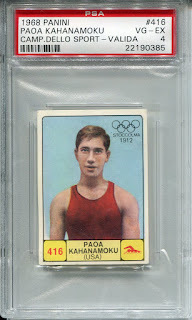 Usually his sketch cards, no matter what the subject matter, sell for a premium over every other sketch card in the set so I made a killer deal on this one. 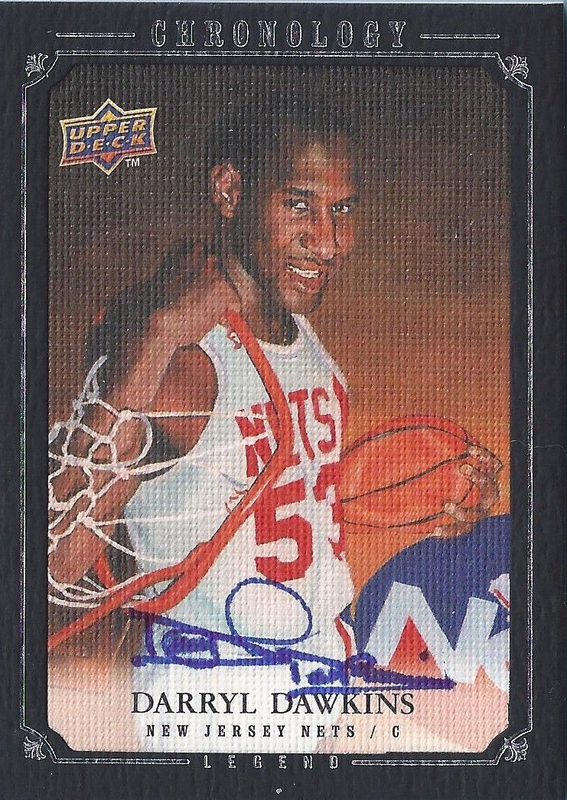 Before there was Michael Jordan posterizing players with his awesome slam dunks there was Darryl Dawkins. 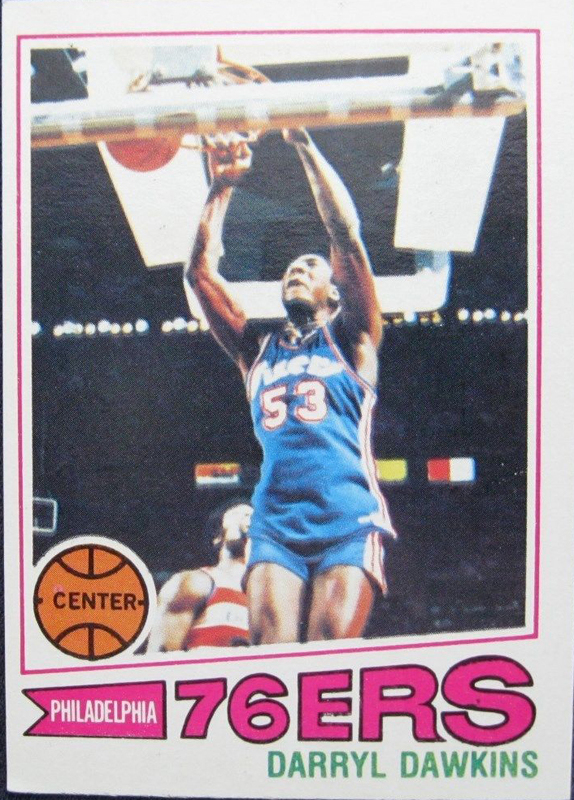 He didn’t create the slam dunk but he sure did perfect it shattering two backboards in the 1979 season. It was not long before he started to name his dunks with names like: The Rim Wrecker, the In-Your-Face Disgrace and the Yo-Mama. 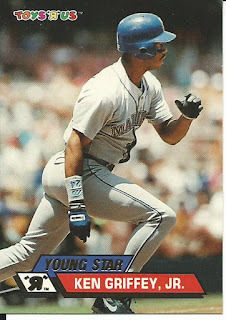 This morning he passed away following a heart attack, he was only 58 years old. 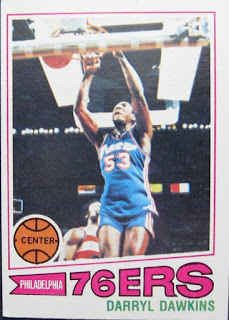 Chocolate Thunder was a solid player early in his career after being drafted straight out of high school, helping the 76ers to the NBA Finals three times between 1977-1982 but was never able to win the big one. 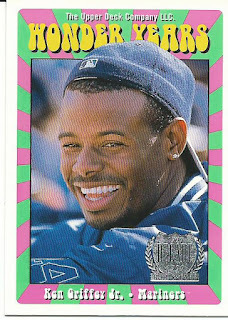 He was with the Pistons during their 1989 Championship season but was sent packing before the playoffs began. 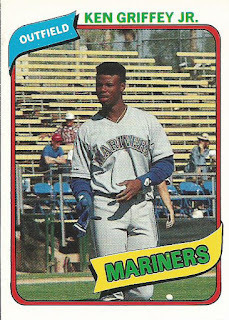 He later spent time in Italy but then returned to the US playing for the Harlem Globetrotters and then two minor league teams. 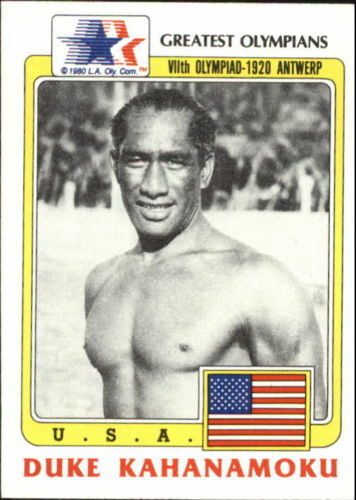 He eventually made the transition to coach in the ABA, USBL and college. Dawkins was always a popular guy, his winning smile swayed over anyone who looked at him, and you can find his cards in many sets through the years from the 1970s through today for a reasonable price. 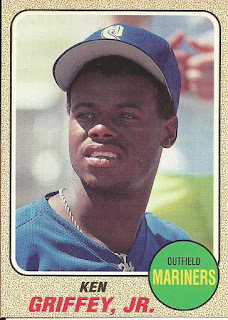 His 1977-78 Topps rookie card #132 can be picked up for a very reasonable $10-12 and his autographs are running around $20 but there are very limited options for his relic cards. 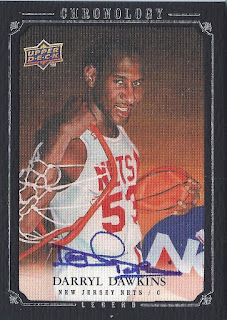 My first card set that I collected was 1979-80 Topps Basketball so I am willing to bet that I had some Dawkins cards in my collection at one point but those cards are long gone from my collection and while I do not have any of his cards in my collection any more I still have fond memories of his rim-shaking dunks that I used to watch as a kid. 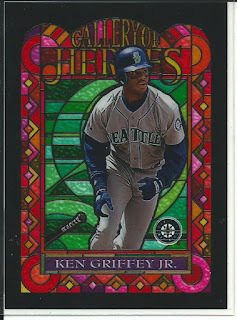 Just a one card post today. 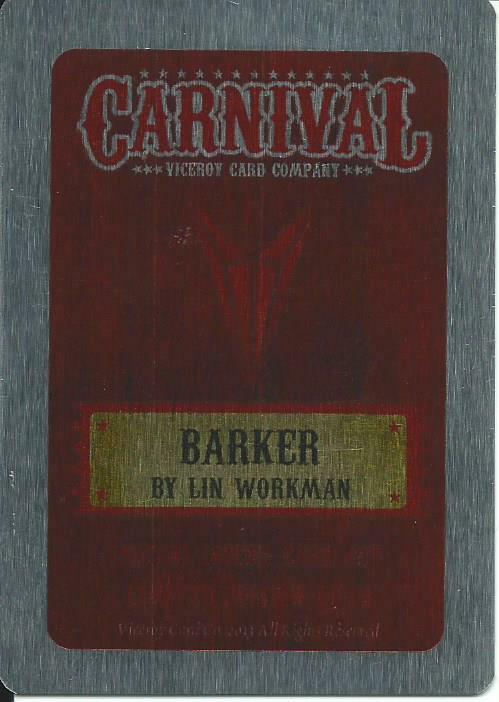 I picked up this 2013 Viceroy Carnival Barker Metal Card #AC5 not long ago. Viceroy is one of those fringe card companies that offer an extremely unique and niche card built mostly on sketch cards. 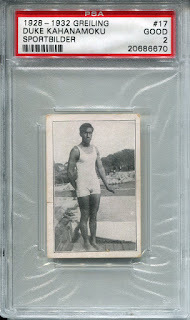 Currently there are five different Viceroy Cards release; Carnival, Cryptids, The Deep and Insectae and Space. 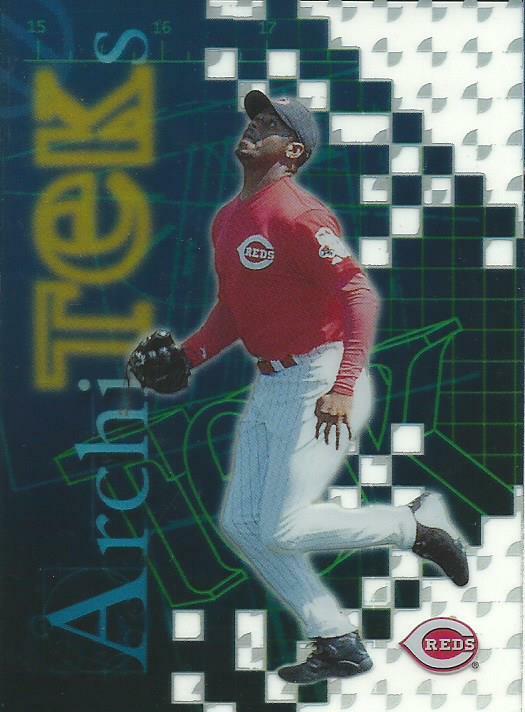 Besides the cool sketch cards there are some very interesting base cards, this card is from the Artist Cards checklist and is #/25 each but they are not individually numbered. 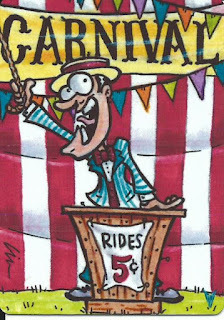 I guess we just have to trust them. The card is metal and the red box on the back is actually just a sticker similar to what you would find on a printing plate. 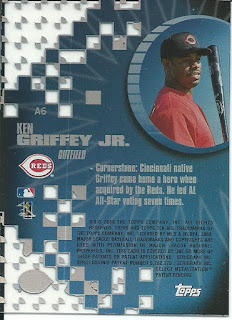 The back sticker is difficult to read, even when in hand. There are three lines beneath the “Barker” box. 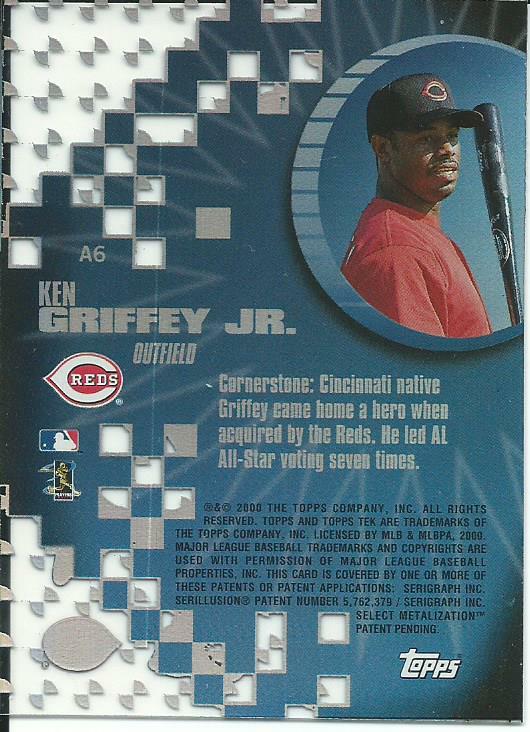 The first line down says “Metal Insert Card AC5”, beneath that “Limited Edition Of 25”. 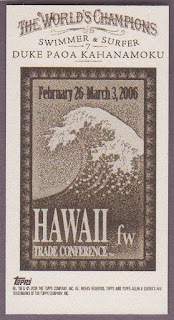 The bottom line (in white) is the Viceroy copyright information. 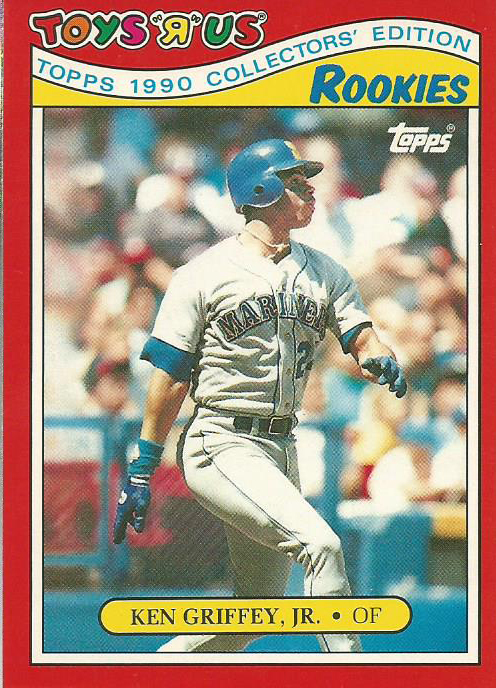 Earlier this year I sent a TTM request to Macklemore for my nephew and was happy to get it back in just over a month. 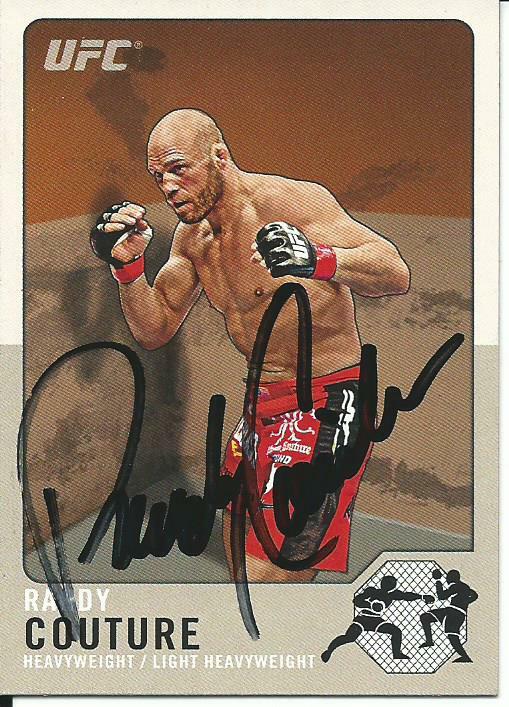 I first started sending TTM requests in the 1990s when I got back in to collecting and after getting no responses I gave up due to frustration but after my luck earlier this year I decided to give it another try, this time I sent a request to Randy Couture. 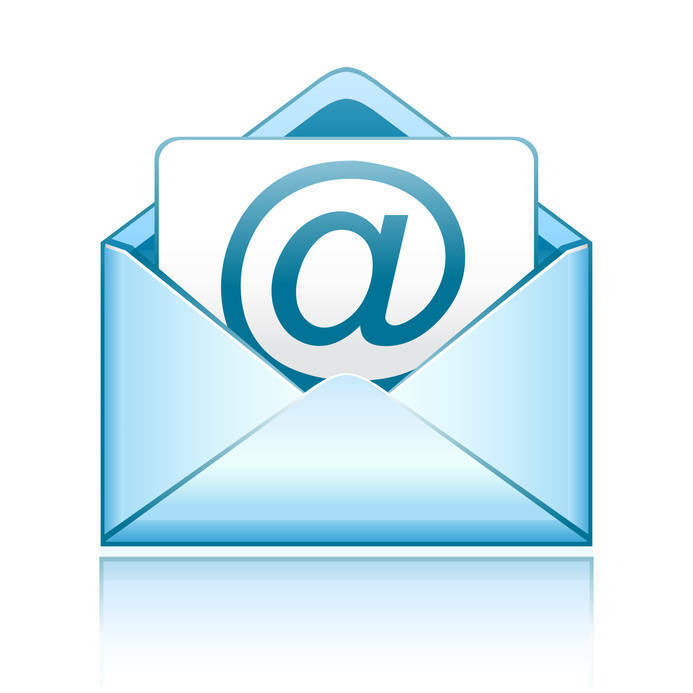 I sent the request on August 8th and got it back on August 17th, a nine-day turn around. 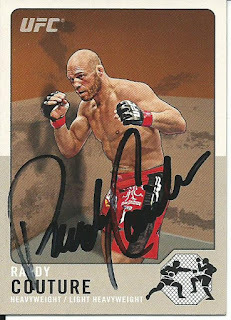 Couture is one of my favorite MMA fighters so I selected a card that I really liked, the 2011 Topps UFC Title Shot Legacy card. 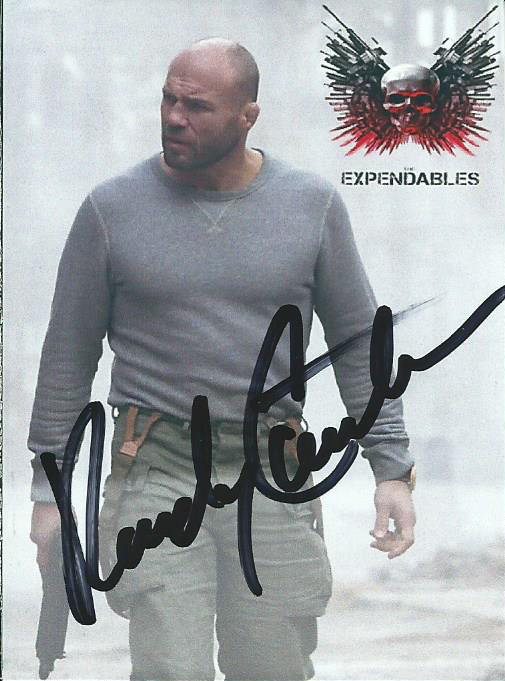 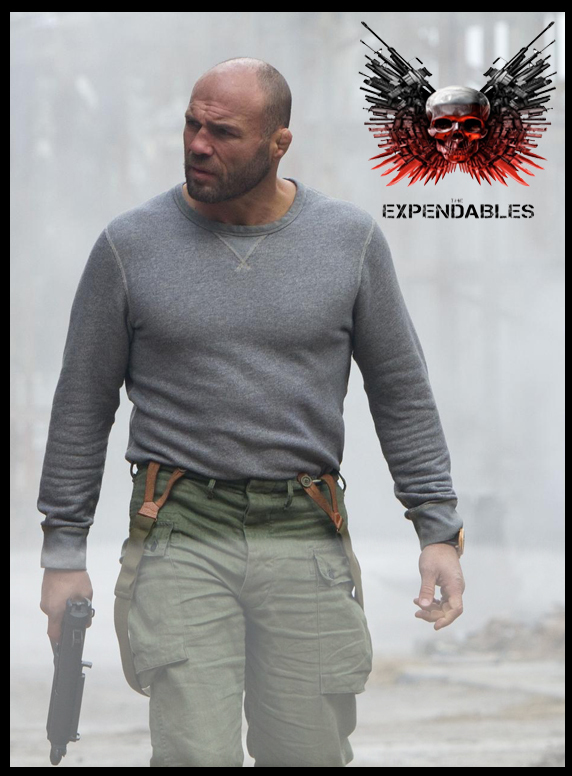 Because I also like Couture’s character Toll Road in the Expendables movies, my favorite recent action film series, I wanted to get an Expendables autograph but there are no cards for the movie series so I made my own. I used a great clear image from Expendables 2 and I tweaked the autograph design from my Mel Brooks series. I kept the card simple, his image along with the Expendables logo and along the bottom I added a mist similar to what Topps uses for autographs but I think I will remove the mist for future cards because I like the bold signature across the front. 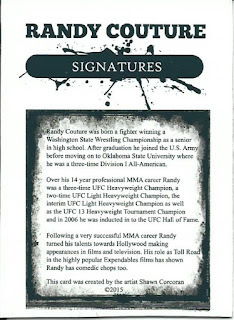 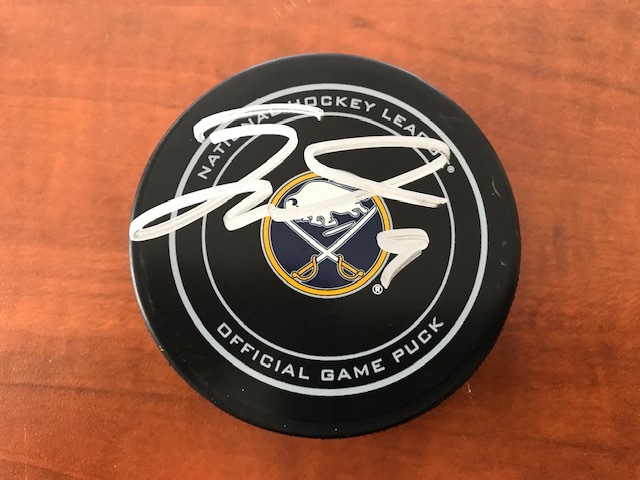 I may only use the mist if I have a dark image where the autograph my get lost otherwise. 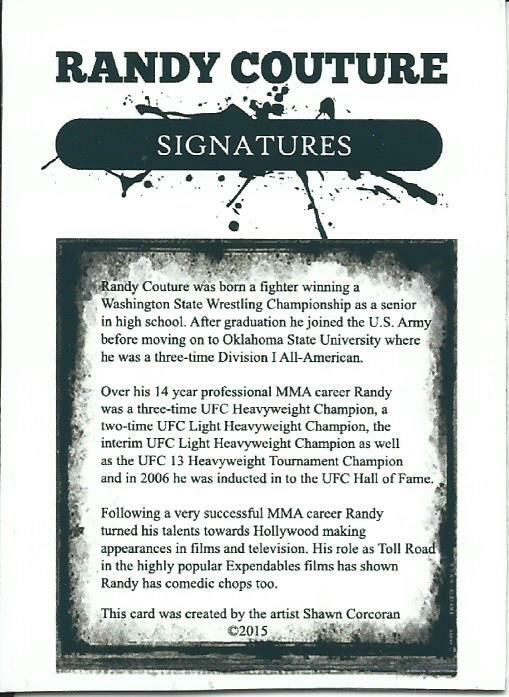 I even made a back with his bio. 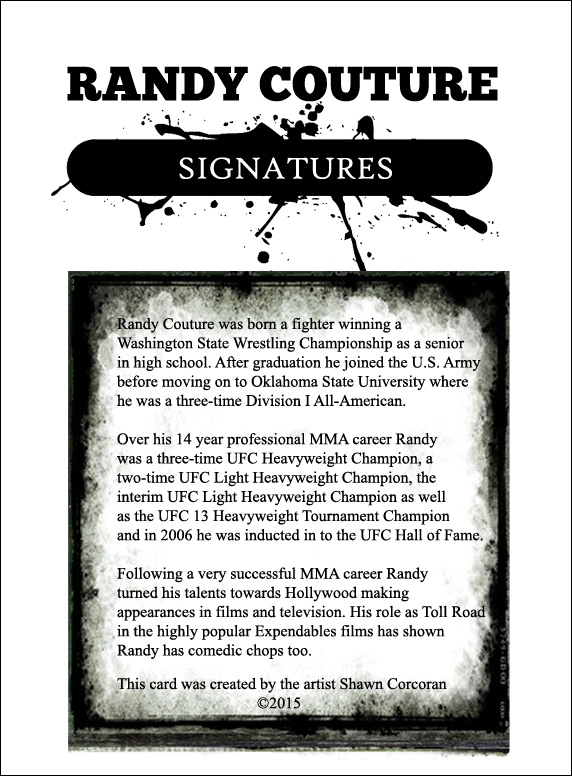 I plan on using the same design for other actors/athletes so I can easily change the bio. 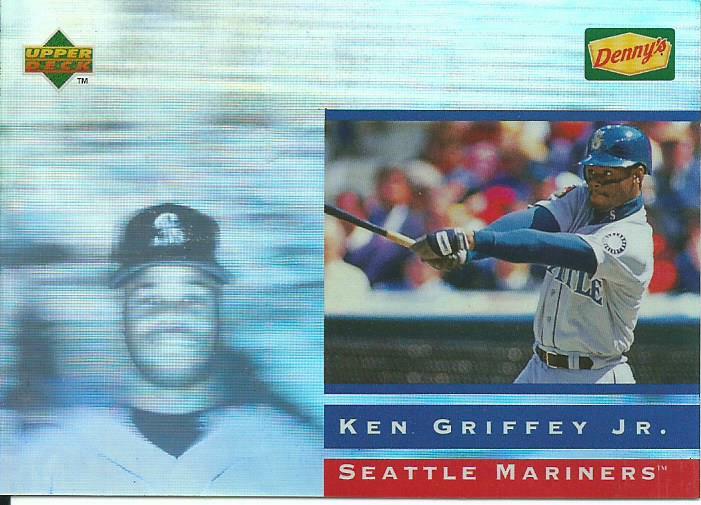 I created the box for the bio using a grunge style but now I realize that the bottom of the box looks like my printer was running out of ink so I plan on cleaning that up for future cards. 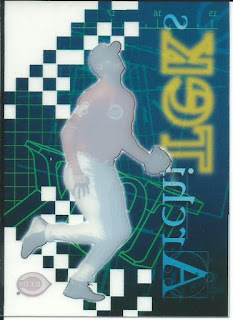 The scan looks washed out, the card does not look like this in hand. 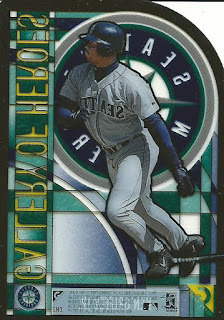 I have included the digital file to show the true solid black coloring. As you can see in the card I did not include a border, those lines in the digital file are the cutline. Today would have been Duke Kahanamoku’s 125th birthday had the father of modern surfing been eternal. 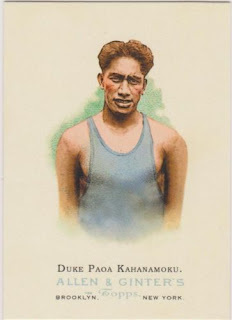 Born in 1890 in the Kingdom of Hawaii Duke went on to do some amazing things in his life. 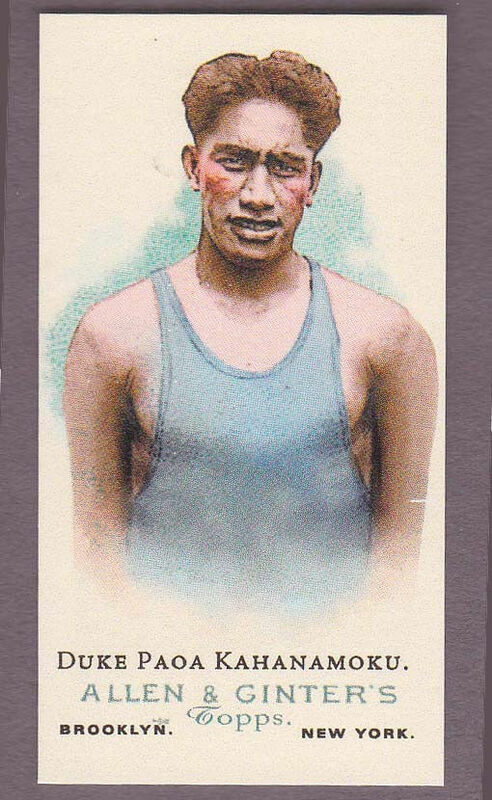 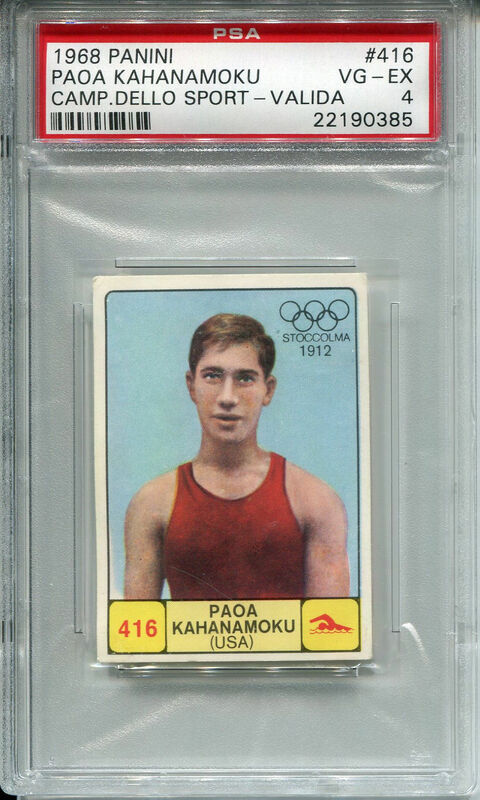 As an Olympic swimmer he appeared in 3 straight Olympics (1912-1924) winning 3 Gold Medals and 2 Silver Medals, plus at the age of 42 he was an alternate on the 1932 US Water Polo Olympic team that won the Bronze Medal but as an alternate he did not receive a medal. In 1965 he was enshrined in the Swimming Hall of Fame and in 1984 he was enshrined in the U.S. Olympic Hall of Fame. He used his popularity as an Olympic Swimmer to travel around the world and popularized the ancient tradition of surfing. Even though surfing has been around for 3,000 years in Polynesian and Hawaiian culture it almost disappeared in the 1820s when British law enforced locals to wear more clothing and to put limitations on “play” time. 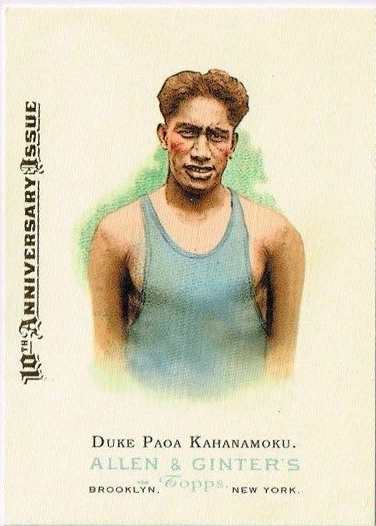 It did not return until 1905 when the Hui Nalu club revived the sport. In June of 1925 while surfing with friends in Newport Beach a fishing boat went down in the heavy surf out of the 29 men on the boat Duke personally rescued 8 men. 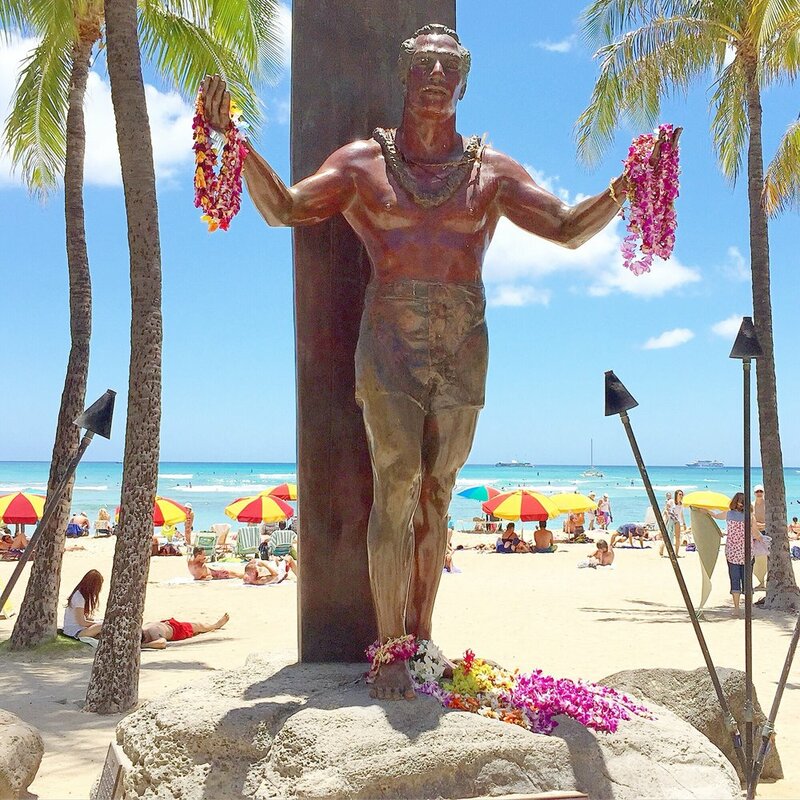 In the following 4 decades he went on to be the Sheriff of Honolulu, serving 13 consecutive terms, and he appeared in 20 television and movie roles. 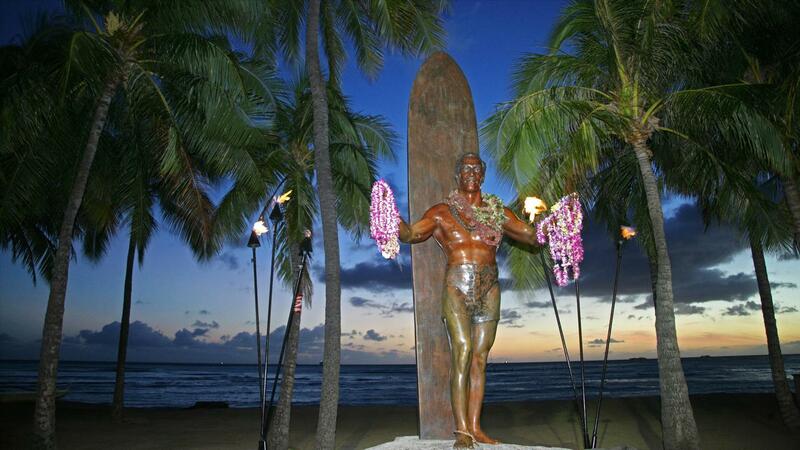 He died on January 22, 1968 of a heart attack at the age of 77 and he was buried at sea. 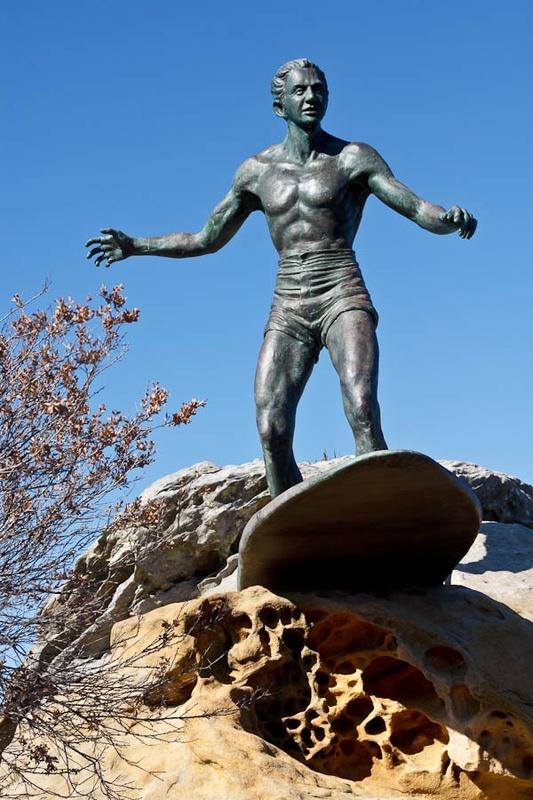 He was first person to be enshrined in the Surfing Hall of Fame in 1966. 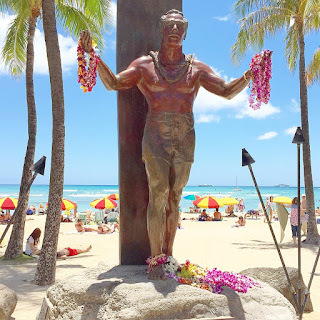 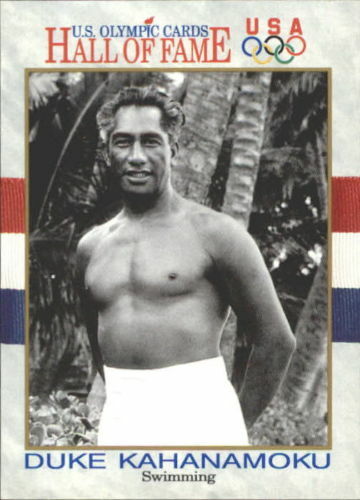 If that was not enough for one lifetime he has been immortalized as the Official Hawaii Greeter, the U.S. released a Duke Kahanamoku stamp in 2002, there is a statue of him at Waikiki Beach on Oahu with him standing with his arms open and another statue at New Brighton Beach in New Zealand depicting him surfing. 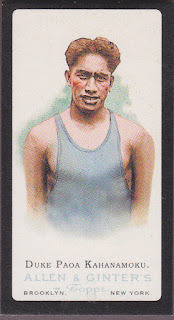 More recently Topps included him in the 2006 Allen & Ginter release which offers a couple of options. 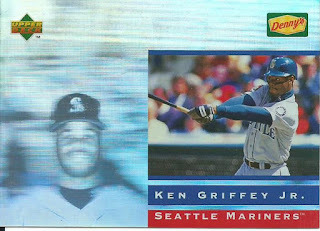 There is the base card #320 plus the mini version, then there is the Black Border mini parallel plus one released for the Hawaii Trade Conference and let’s not forget the 2015 Buyback version. 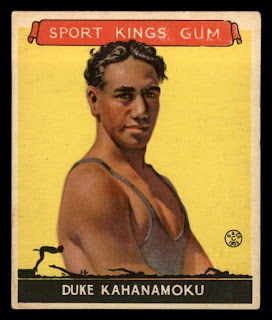 There are some generic surfing cards where people claim the image is Duke but there is no listing for him and he is not mentioned on the card. 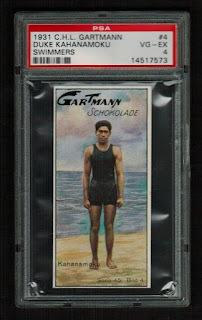 I am looking to add the 1933 Goudey Sport King and 1931 Garmann to my collection eventually, I don’t know if I would say they are White Whales or Gray Whales just yet but they are definitely whales. 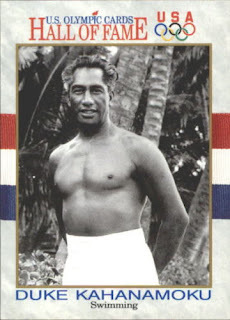 I would also like to add the 2006 A&G Hawaii Conference card eventually too, this one is probably the most reasonably priced card on my Kahanamoku want list. 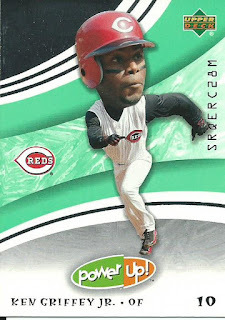 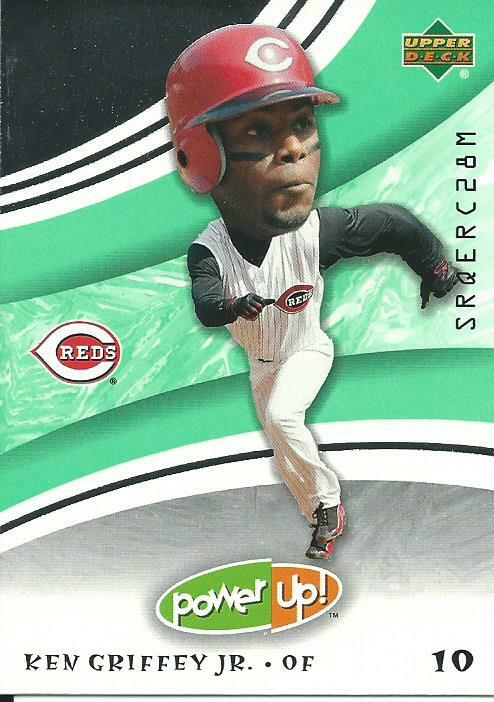 I hope someday Upper Deck can get him in to a Goodwin Champions release as a surfer. 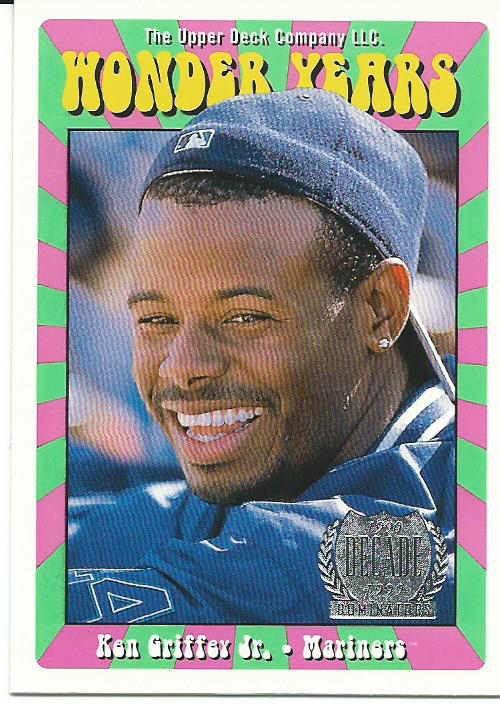 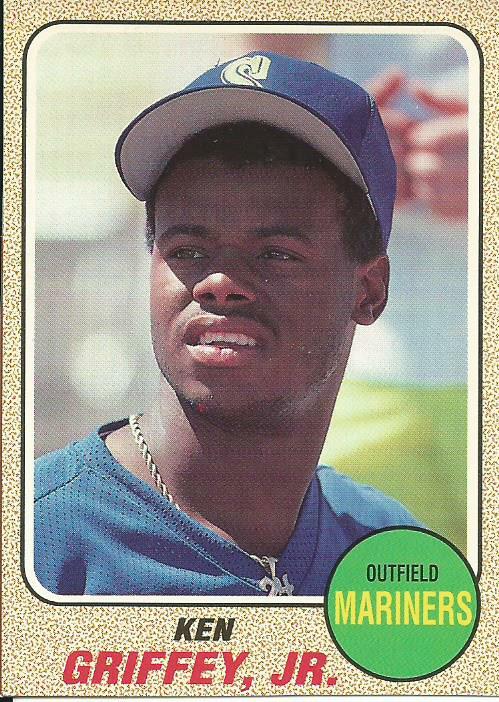 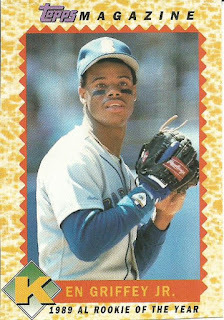 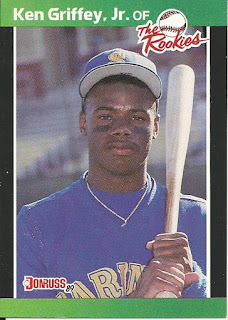 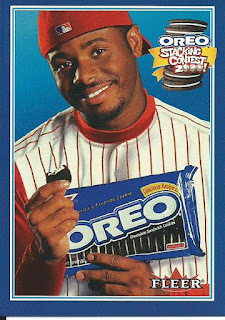 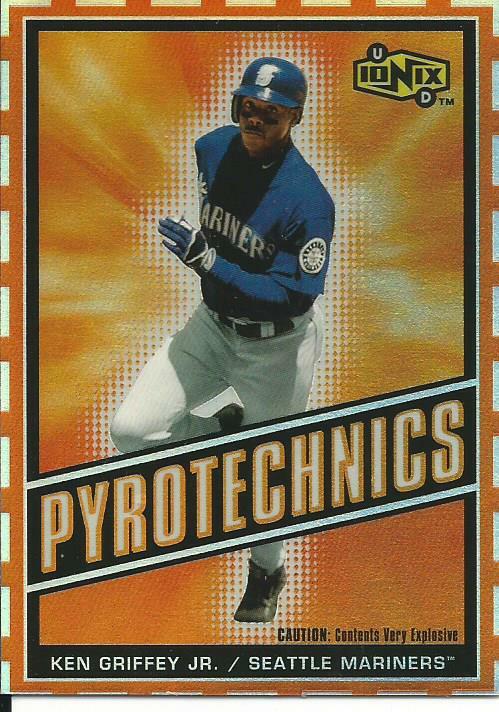 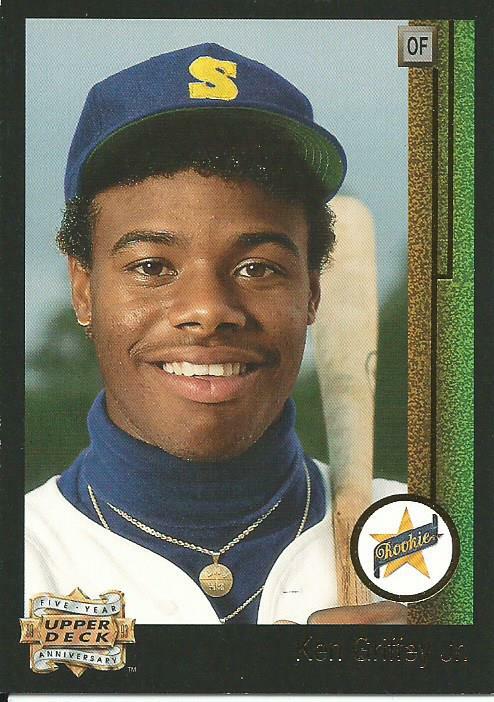 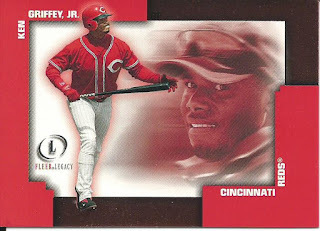 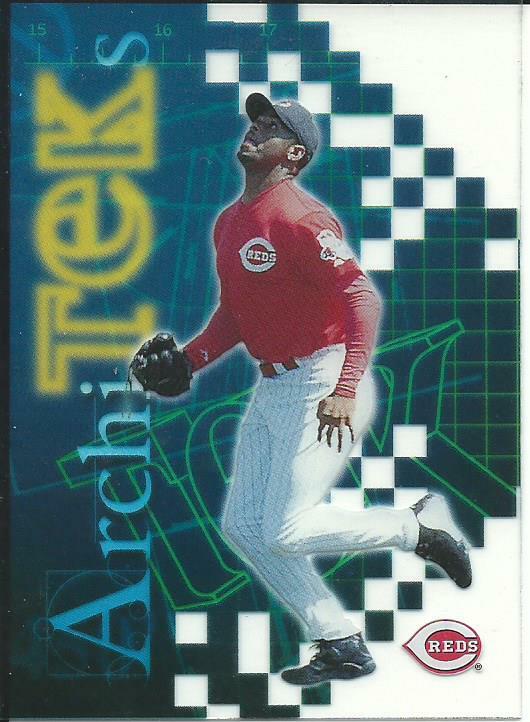 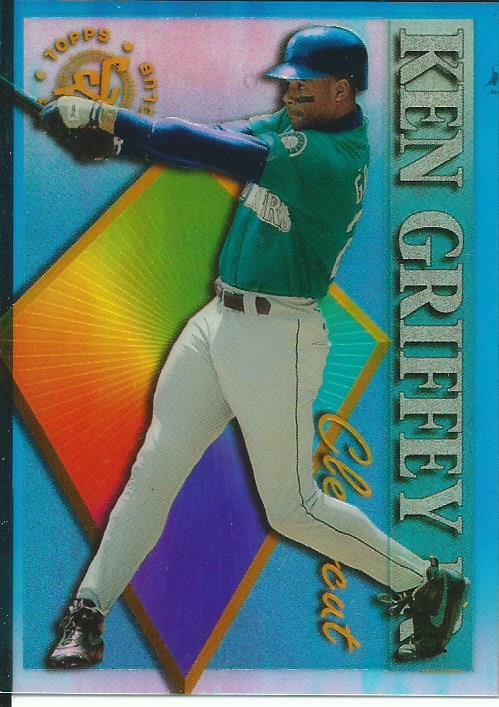 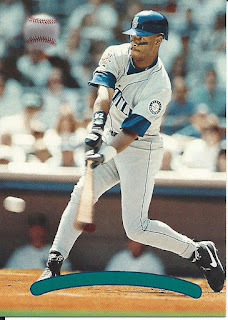 Closing out the week of Griffey I am posting up a collection of his cards that I picked up over the year. 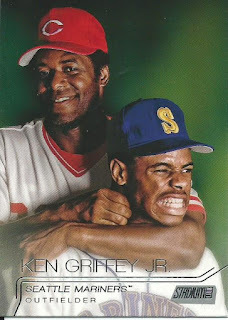 I covered my Top 10 favorite pickups yesterday so today is the “Best of the rest” post. 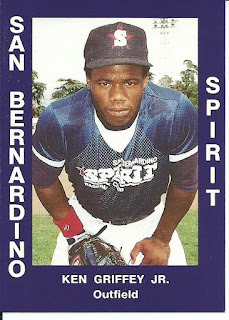 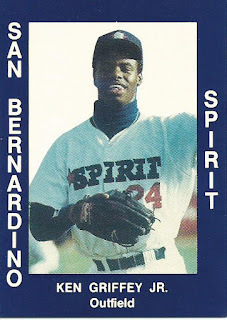 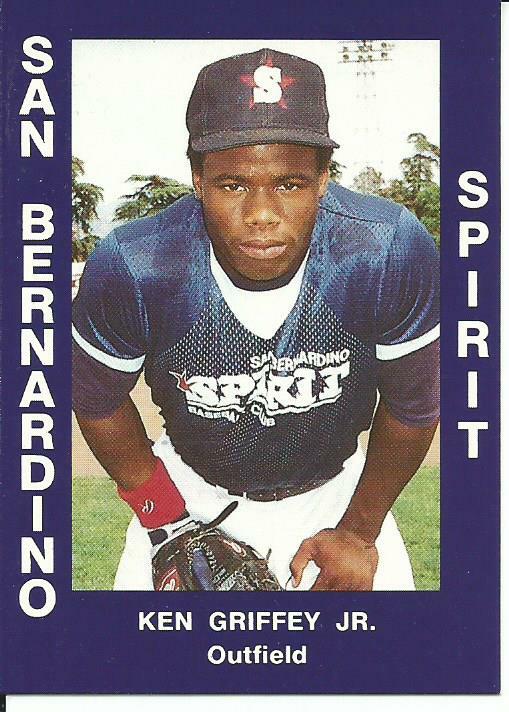 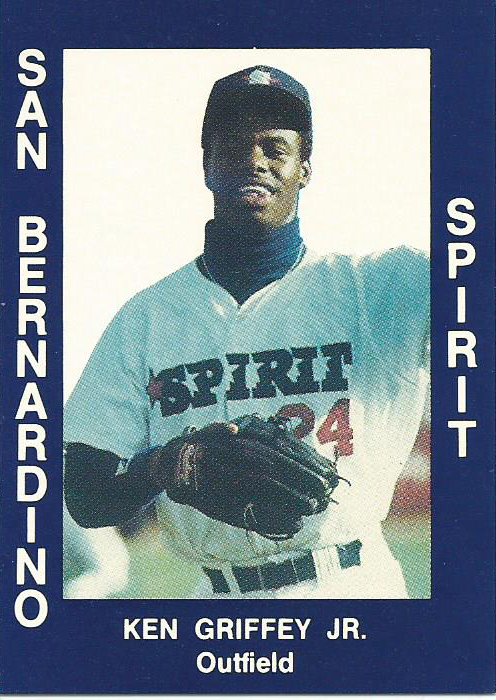 I will start with a couple of pre-rookie/rookie cards: 1988 Cal League San Bernardino Spirit Blue, 1988 Cal League San Bernardino Spirit White and 1989 Donruss The Rookies. The 1988 white version is not considered an "official" card, it is actually a broder version of the blue jersey card but still a cool addition. The specialty releases: 1990 Topps Toys R Us, 1993 Topps Toys R Us, 1993 Upper Deck 5-Year Anniversary and 2004 Upper Deck PowerUp. 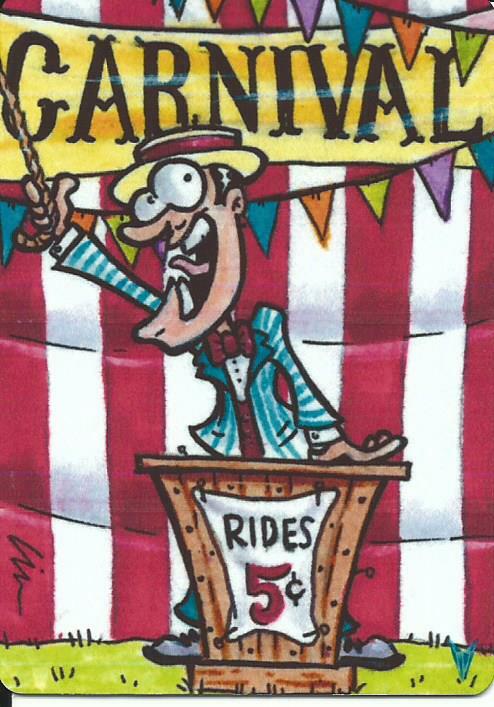 The reason the Toys R Us releases are important to me is because I worked for Toys R Us for over a decade, starting as an employee and working my way up to a Store Director before leaving after I was disabled. 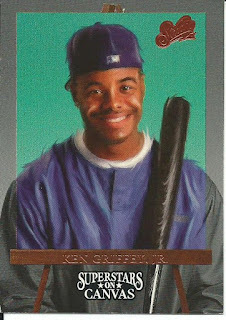 The TRU cards are both Ghost cards I finally replaced. 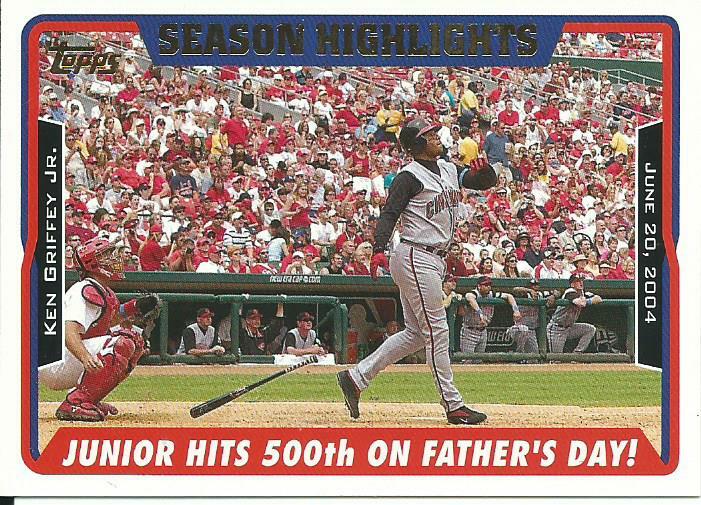 The 1999 Wonder Years and 1999 Stadium Club cards have some cool photos and the 2005 Topps shows his 500th Homerun. 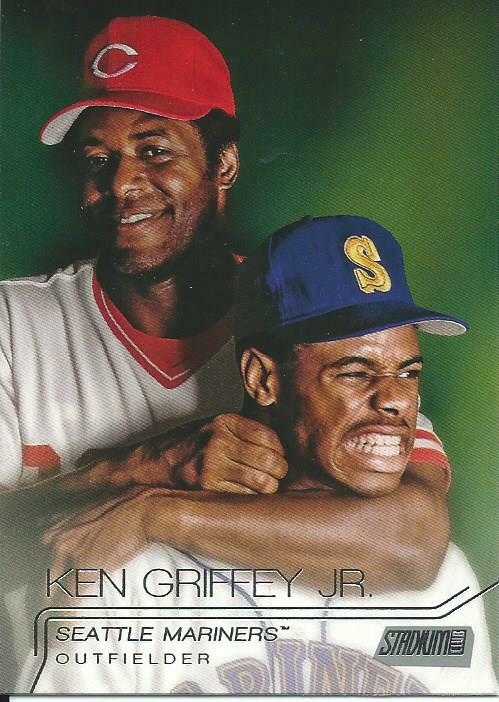 The 2015 Stadium Club is a fun card with the two Griffeys (sorry Craig) in a playful embrace, does it get any better? 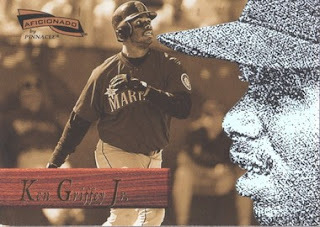 The 2009 UD Welcome Home card is a favorite because it depicts Griffey's return to Seattle, though I will say that the cartoonist took some artistic licensing when they drew the card. 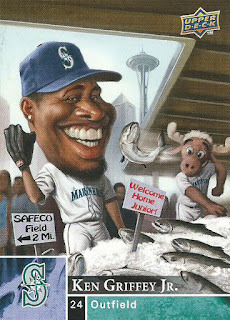 The scene is from the Pike Place Fish Company at Pike Place Market, they are the ones who yell out orders and throw fish when you buy from them. 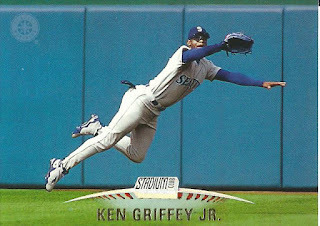 They are located right under the Pike Place Market sign facing North and across the street from the first Starbucks store. You can not see the Space Needle from this location not to mention that the way that the sign is pointing to Safeco is pointing in the wrong direction (West) because Safeco Field is Southeast of Pike Place Market but still a fun card.